In the sobering aftermath of America's invasion of Iraq, Eugene Jarecki, the creator of the award-winning documentary Why We Fight, launches a penetrating and revelatory inquiry into how forces within the American political, economic, and military systems have come to undermine the carefully crafted structure of our republic -- upsetting its balance of powers, vastly strengthening the hand of the president in taking the nation to war, and imperiling the workings of American democracy. This is a story not of simple corruption but of the unexpected origins of a more subtle and, in many ways, more worrisome disfiguring of our political system and society. While in no way absolving George W. Bush and his inner circle of their accountability for misguiding the country into a disastrous war -- in fact, Jarecki sheds new light on the deepest underpinnings of how and why they did so -- he reveals that the forty-third president's predisposition toward war and Congress's acquiescence to his wishes must be understood as part of a longer story. This corrupting of our system was predicted by some of America's leading military and political minds. In his now legendary 1961 farewell address, President Dwight D. Eisenhower warned of "the disastrous rise of misplaced power" that could result from the increasing influence of what he called the "military industrial complex." Nearly two centuries earlier, another general turned president, George Washington, had warned that "overgrown military establishments" were antithetical to republican liberties. Today, with an exploding defense budget, millions of Americans employed in the defense sector, and more than eight hundred U.S. military bases in 130 countries, the worst fears of Washington and Eisenhower have come to pass. Surveying a scorched landscape of America's military adventures and misadventures, Jarecki's groundbreaking account includes interviews with a who's who of leading figures in the Bush administration, Congress, the military, academia, and the defense industry, including Republican presidential nominee John McCain, Colin Powell's former chief of staff Colonel Lawrence Wilkerson, and longtime Pentagon reformer Franklin "Chuck" Spinney. Their insights expose the deepest roots of American war making, revealing how the "Arsenal of Democracy" that crucially secured American victory in WWII also unleashed the tangled web of corruption America now faces. From the republic's earliest episodes of war to the use of the atom bomb against Japan to the passage of the 1947 National Security Act to the Cold War's creation of an elaborate system of military-industrial-congressional collusion, American democracy has drifted perilously from the intent of its founders. As Jarecki powerfully argues, only concerted action by the American people can, and must, compel the nation back on course. 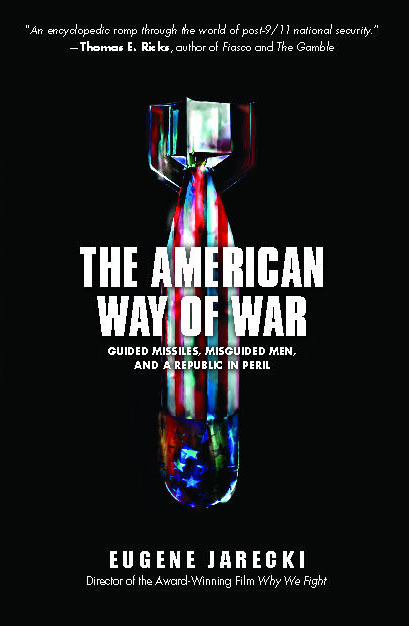 The American Way of War is a deeply thoughtprovoking study of how America reached a historic crossroads and of how recent excesses of militarism and executive power may provide an opening for the redirection of national priorities. 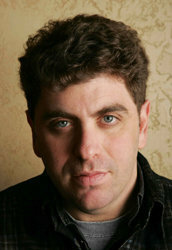 Eugene Jarecki is the acclaimed fimmaker of The Trials of Hnry Kissinger and Why We Fight, winner of the 2005 Grand Jury Prize at the Sundance Film Festival and a 2006 Peabody Award. He has been a Senior Visiting Fellow at Brown University's Watson Institute for International Studies and is the founder and director of The Eisenhower Project, an academic public policy group dedicated, in the spirit of Dwight D. Eisnehower, to studying U.S. foreign policy.